This is Red Valerian (Centranthus ruber). 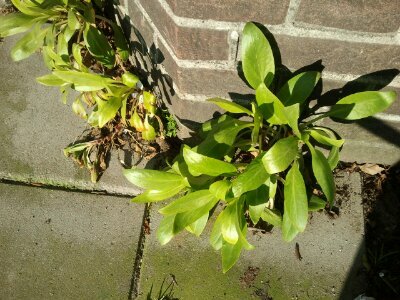 It’s nothing like the “real” valerian but it is an edible and medicinal herb, growing right here in Amsterdam. 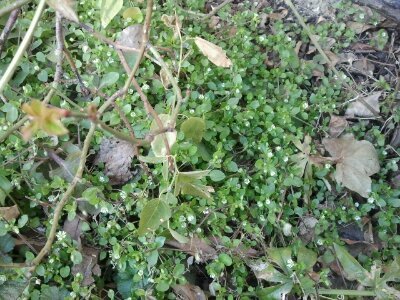 And here above is a mass of Chickweed (Stellaria media), growing beneath a rose bush and currently in flower, offering lots of taste and medicinal uses.